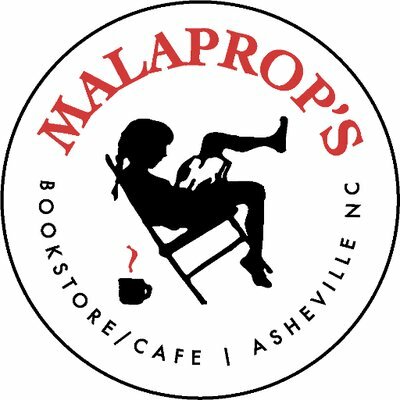 After thirty-seven years, Emöke B’Racz, the founder of Malaprop’s Bookstore & Cafe in downtown Asheville, will step down as majority owner, effective immediately. She hands the reigns to longtime employee Gretchen Horn, who is now majority owner of Renaissance Bookfarm, Inc., which owns Malaprop’s Bookstore/Cafe and Downtown Books & News. Emöke will remain as founder and minority owner. By any standard, she has succeeded. That same vision and commitment to staying “true to oneself” will no doubt continue now that Gretchen is at the helm. Malaprop’s is located at 55 Haywood St. in downtown Asheville. Visit them on the web at https://www.malaprops.com. They’re also on Facebook , Twitter, and Instagram. This was written by charles. Posted on Wednesday, January 23, 2019, at 10:35 am. Filed under Uncategorized. Tagged Asheville, emoke b'racz, gretchen horn, independent bookstore, indie bookstores, Malaprop's, SIBA, western nc. Bookmark the permalink. Follow comments here with the RSS feed. Both comments and trackbacks are currently closed.